Geje “Gravity” Eustaquio outwitted former flyweight champion Adriano “Mikinho” Moraes in a thrilling 5-round title unification bout to become the undisputed ONE Flyweight Champion while Danny “The King” Kingad halted the red-hot “Southern Eagle” Ma Hao Bin of China in ONE: Pinnacle of Power last night in Macau, China. The title bout was as exciting as it could be as the riveting battle took place between two of the most outstanding flyweights in the world today put everything on the line to unify the ONE Flyweight World Championships. Both Eustaquio and Moraes went back-and-forth, swapping solid blows and momentum-shifting takedowns from bell to bell. Neither of the two would give each other any quarter for five rounds as both men traded their best offense all throughout the highly-anticipated title unification contest. Eustaquio, however, showed tremendous improvement on his ground game, especially on the defensive side, to thwart any damaging effect whenever Moraes gains control. A raucous crowd agreed as they got into a rapturous chorus of cheers when the coliseum barker did confirm that The Gravity takes home the strap via a split decision. “The feeling is awesome. I want to thank all my kababayans (countrymen) here who came out to support me. I came to Macau with one vision, and that is to [unify the flyweight titles], and I know I am not capable of doing this alone. I want to thank God, Team Lakay, and of course my family. And to all the fans, thank you so much for the undying support. Ladies and gentlemen, when I started 14 years ago, this was impossible. But now, after 14 years, impossible is not a word, it’s just a reason. Anybody can be a world champion, as long as you have the drive and the attitude. I am proud to be the undisputed ONE Flyweight World Champion this time.”, Eustaquio stated in the post-game interview. Meanwhile co-Team Lakay flyweight standout Kingad and Ma put on an electric performance, delivering a thrilling exchange of offense. 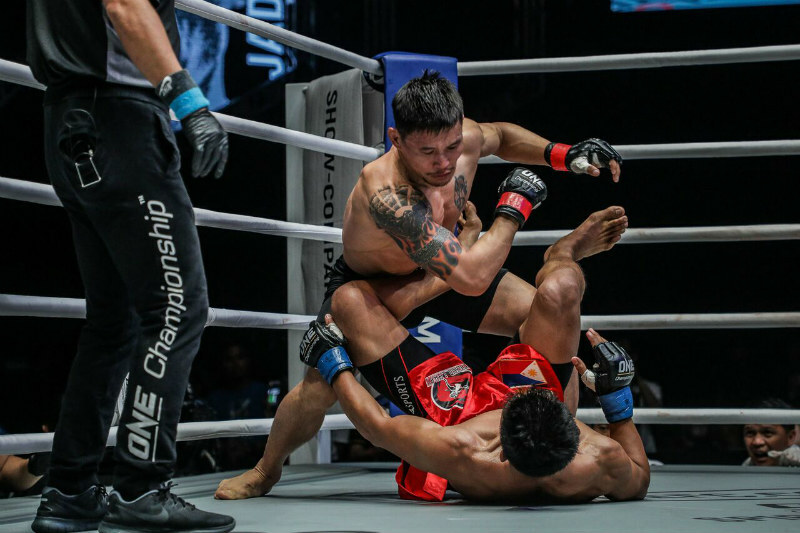 The former ONE Flyweight World Championship title challenger Kingad utilized a heavy torrent of leg kicks and ferocious ground-and-pound to dominate Ma over three full rounds to earn a unanimous decision victory. It was not as good for the third Team Lakay member however as former ONE Featherweight World Champion Narantungalag “Tungaa” Jadambaa of Mongolia turned in a vintage performance and stopped top divisional contender Edward “The Ferocious” Kelly by technical knockout in the second round iIn a fierce clash of top ONE featherweights. Jadambaa dominated both striking and grappling exchanges, while Kelly tried his best to fend off the former champion’s advances. However, Jadambaa’s pressure was too much to handle for Kelly, who succumbed to a series of ground strikes from the back and joined his brother as victims of this durable veteran. In the co-main event of the evening, “The Panda” Xiong Jing Nan of China successfully defended the ONE Women’s Strawweight World Championship, defeating elite South American contender Laura Balin. With the desire to leave Macau remaining the division’s queen, Xiong overwhelmed Balin with her superb grappling pedigree. 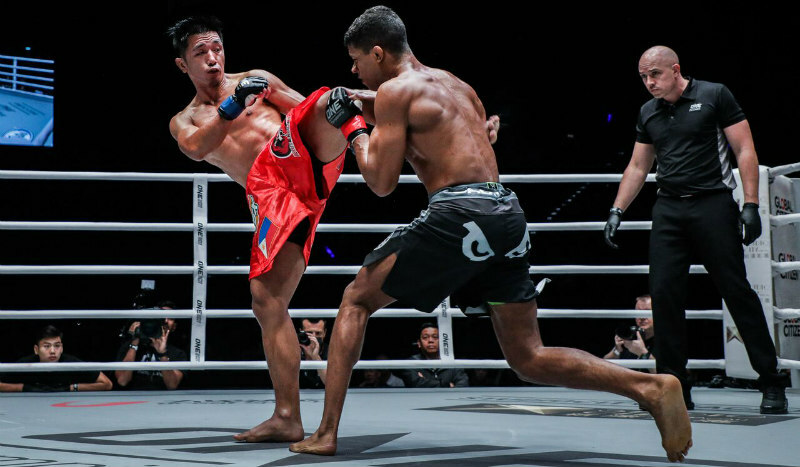 On the canvas, Xiong continuously pummeled Balin with thudding strikes and tried to bring the bout to a close with multiple submission attempts throughout the championship clash. Xiong punctuated the bout by outslugging Balin in the final round, steering herself to a dominant unanimous decision victory. Making his ONE Super Series debut, two-division Lumpinee Stadium World Champion Petchmorrakot Wor. Sangprapai emerged triumphant against French dynamo Fabrice Fairtex Delannon in a catchweight Muay Thai encounter. Proving his stature as one of the top pound-for-pound Muay Thai practitioners in the world, Petchmorrakot finished the task at hand with a series of elbows that opened up a cut on Delannon’s forehead, coercing the ringside physician to halt the contest just 43 seconds into the second round. Malaysian-Kiwi spitfire EV “E.T.” Ting defeated another notable name in the promotion’s stacked lightweight division, routing fellow former world title contender Koji “The Commander” Ando of Japan. It was a striking showcase from start to finish as both men delivered shattering blows. Although Ando gallantly traded punches with Ting, the latter connected on effective strikes through excellent counterpunching. Ting pulled away in the last round when he scored on a devastating high knee. With his gutsy performance against Ando, Ting was awarded a unanimous decision win. In a ONE Super Series Muay Thai flyweight contest, the legendary Lerdsila Phuket Top Team of Thailand overcame a tremendous effort from his younger opponent Sok Thy of Cambodia, winning by split decision after three rounds. The two locked horns in a spirited clash of talented strikers, peppering each other with fiery combinations while showcasing great defense. In the end, it was Lerdsila who was able to earn two of the three judges’ nods. Moroccan promotional newcomer Tarik Khbabez left a lasting impression in his first ONE Super Series appearance, notching a third-round knockout victory over heavyweight Alain “The Panther” Ngalani. Khbabez silenced the Cameroonian with his pressuring offense, catching Ngalani with a stream of punishing strikes from the first round to the final frame. In the third round, Khbabez unleashed a torrent of impactful blows that brought Ngalani to his knees. An exhausted Ngalani failed to beat the 10-count, compelling the referee to wave off the bout and declare Khbabez the victor via knockout. In a ONE Super Series Muay Thai flyweight contest, Yukinori Ogasawara of Japan overcame a tremendous effort from Rui Botelho of Portugal to win by scintillating knockout in the second round. 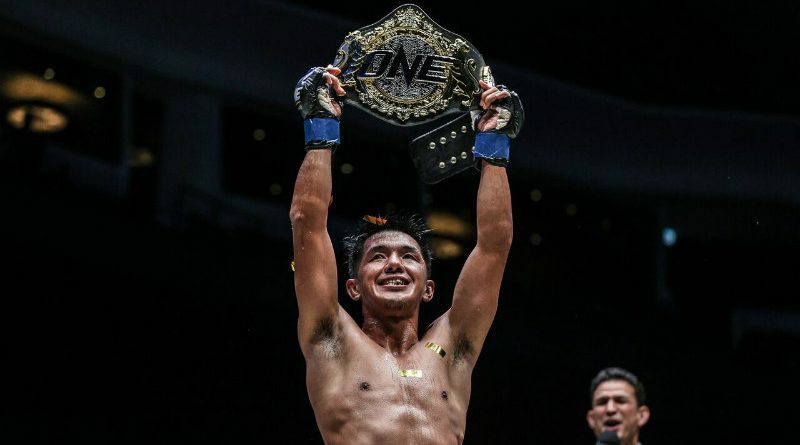 After coming from behind in the first frame, Ogasawara unleashed a beautifully-timed spinning back elbow in the second, turning the lights out on Botelho to emerge victorious in his ONE Championship debut. 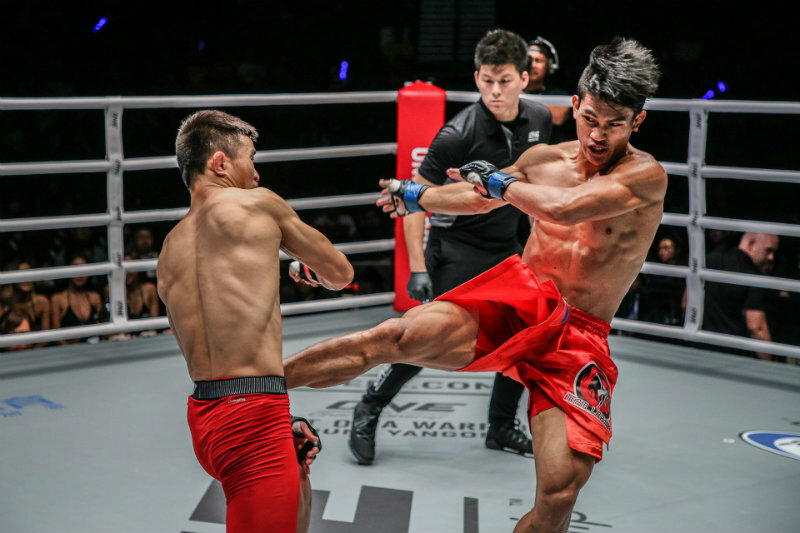 Former ONE Featherweight Beijing Tournament 2014 Champion, “The Underdog” Li Kai Wen of China walked out to a thunderous chorus of cheers as he took on Rodian “The Redeemer” Menchavez of the Philippines. Featuring his trademark aggression and explosive power, Li blasted Menchavez with a monstrous right hand to finish his Filipino foe impressively in the first round via one-punch knockout. The finish set a new ONE Championship record of fastest finish in featherweight history at 10 seconds, shattering the previous record of 21 seconds set by Team Lakay’s Edward Kelly. It also earned Li the GoDaddy KO of the Night honors. Kicking off ONE: PINNACLE OF POWER were bantamweights Rin Saroth of Cambodia and Mario Satya Wirawan of Indonesia. The two figured in a spirited scrap, setting the pace for an exciting evening of martial arts action. After a showcase of evenly-matched striking and grappling, it was Saroth who emerged victorious, defeating Wirawan via technical knockout in the third round.